The digital file based artworks in the Street Show, which were perversely kept offline and made available only on a USB stick stuck in some bricks on 21st Street in NY*, were quickly downloaded by a group of old school code phreaks calling themselves 0-Day Art. That organization is making the files available as a Torrent. so they can just have it locally." . . : WE WILL GET THAT ART BACK ONLINE BY ANY MEANS NECESSARY : . .
*but not too inconveniently located near an art & technology not-for-profit. More on the Street Show. A while back we were talking about the somewhat aesthetically problematic business strategy of "taking a GIF offline so the collector could have it locally." Now comes the Street Show, where the collector (i) doesn't pay, (ii) receives no certificate of authenticity, (iii) has the option to hoard or recycle the collected work, (iv) has to jockey with others on the street with USB-equipped gear and ultimately (v) obtains an electronic file that is unique only because the artist serendipitously decided to do a "one-off"--an even worse business model! Street Show: The Things Between Us is an exhibition of new work from 22 different artists distributed solely through a USB Dead Drop installed at 540 W. 21st St. (@Eyebeam Center for Art + Technology) in New York City. 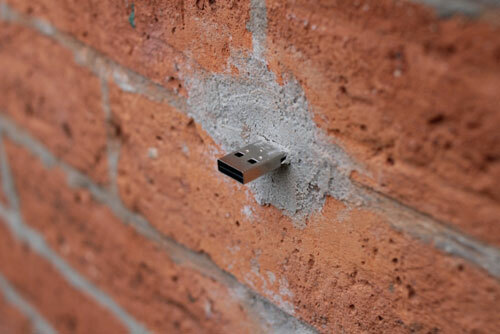 Dead Drops (started by Aram Bartholl) are USB flash drives installed in public locations (buildings, train stations, museums etc) around the world to create an anonymous offline peer-to-peer file-sharing network. For The Things Between Us each artist was asked to make a piece based on the idea of TRANSFER (whatever that meant to them) that would be unique and only available through the Dead Drop. The Street Show exhibition format is an experiment in the absurd pursuit of creating scarcity in the distribution of digital media. Visitors to the Dead Drop are free to take a file, delete a file, take all the files and so on ad infinitum, the future distribution of the work is uncertain once installed. It places the power of "ownership" of unique files in the hands of its audience and through this, hopes to reveal something about the culture and consumption of digital media. The work presented on the drive may end up online, be deleted, remixed, vandalized, or perhaps even trolled, its fate is in the hands of those who seek it. In the spirit of free art & technology, the initiation of Dead Drops and other similar projects (Speed Show / BYOB) this exhibition format is completely free to reuse and remix by any and all. A full listing of Dead Drop locations can be found HERE. While this blog agrees that creating scarcity for a filetype meant to circulate is absurd, there are reasons for collecting, preserving, and yes, paying for digital-based expression. Successful models for this do exist but artists should be free to flout convention when it suits them. Q. is the USB stick read-only somehow? A. No, it's completely two way. A random malicious person could remove all the files and/or fill the stick with his/her own files. In the case of this show, net art savvy types got to the stick and made copies of everything before anything too bizarre happened. 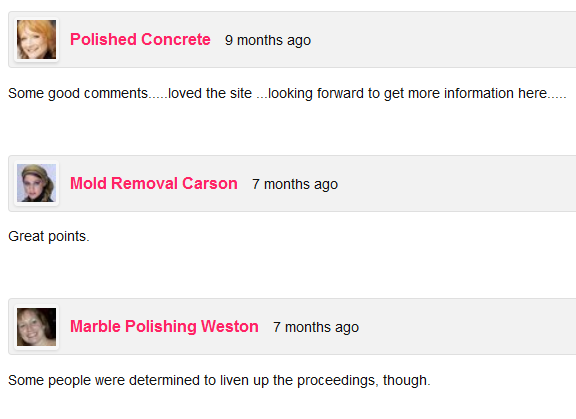 Three years ago a modest piece of "blog art" called Loads of Loads collected some then-newish Ajax l***ing GIFs.